The MiTU baby hair clipper adopts a close-fitting double knife design, which can effectively reduce the hairpin without pulling. The fixed knife is made of 5Cr13 stainless steel, and the R0.3 rounding design of the fixed tooth is effective to avoid stinging the baby&apos;s skin. The movable knife is made of ceramic material and has the advantages of not rusting and easy cleaning. Safe and clean haircut while reducing the double knife friction temperature is transmitted to the baby&apos;s skin. High-twisting and low-turn motor, which is the basis of strong power and bass. MiTU baby hair clipper with high-torque and low-speed dc motor can ensure the strong output power of the motor while maintaining the bass, so that the newborn baby who will have a fear of loud noise will not make noise and cooperate with the haircut. Detachable tool head, supports IPX7 full body washable. MiTU baby Clipper is designed with detachable knife head and can be washed with water all over the body to keep it clean and sanitary. At the same time on the shell design block hair sponge, hair cutting process can be easily block to most of the broken hair. USB interface, mobile power can also charge. 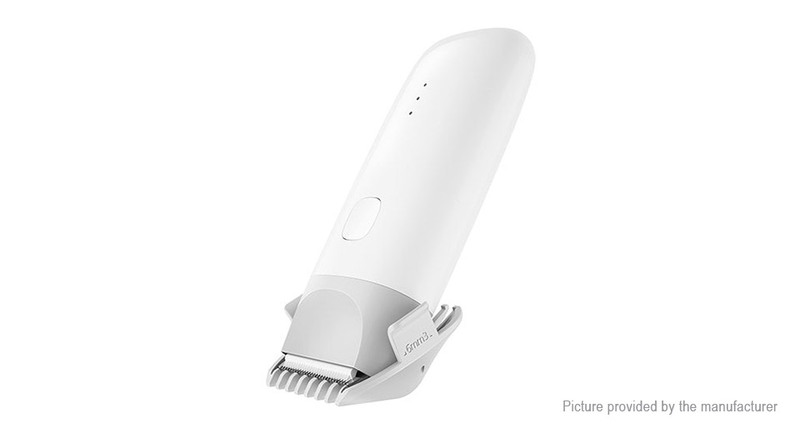 MiTU baby hair clipper built-in custom high-density lithium-ion polymer battery,Mi-cro-USB charging method fast charging, full of only 90 minutes, battery life up to 2 hours, and compatible with mainstream adapters, power bank or The computer is charged and has wide compatibility.